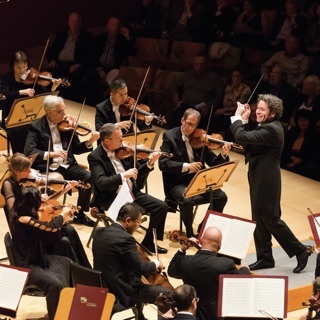 The San Francisco Symphony is among the country's leading orchestras, with a reputation for adventurous and innovative programming that highlights American composers and focuses on targeting new audiences for orchestral music. The San Francisco Musical Association, established in 1908, founded the San Francisco Symphony, which gave its first concert in 1911. Its early conductors included Henry Hadley and Alfred Hertz. After the orchestra had to cancel its 1934 season for financial reasons, the city ratified an amendment to its charter in 1935 establishing municipal funding for the orchestra. That year Pierre Monteux was named music director, and under his leadership the orchestra grew substantially in stature and reputation, making its first national tour and over 40 recordings for RCA. Some of the world's leading conductors have served the orchestra, including Enrique Jordá (1954), Josef Krips (1963), Seiji Ozawa (1970), Edo de Waart (1977), and Herbert Blomstedt (1984). 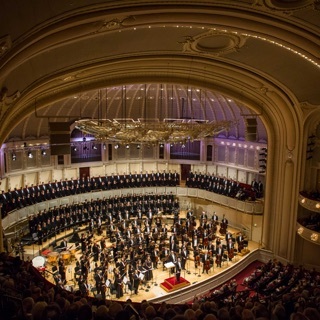 In 1980, during de Waart's tenure, the orchestra moved from the War Memorial Opera House, where it had performed since 1932, into the Louise M. Davis Symphony Hall. That same year, it expanded its season to 52 weeks and inaugurated its New and Unusual Music Series, planned by composer John Adams, the orchestra's new music advisor. Since 1995, Michael Tilson Thomas has served as the orchestra's music director and has brought it to a new level of prominence through its local performances, national and international tours, and many recordings and broadcasts. As of the 2014-15 season, at 20 years together, Tilson Thomas became the longest-tenured conductor of a major American orchestra to date. The orchestra offers more than 220 concerts and other presentations annually, reaching audiences of nearly 600,000 locally and through its tours. Highlights of Tilson Thomas' tenure include a highly successful campaign to raise the orchestra's profile in San Francisco; a busy schedule of tours of U.S. cities, Europe, and Asia, including the group's first trip to China; a series of televised performances at the BBC Proms; and opening Carnegie Hall's 2008-2009 season with A Celebration of Leonard Bernstein, which was broadcast on PBS' Great Performances and released on DVD. It also presents semi-staged and multimedia productions, such as Britten's Peter Grimes, produced in the 2013-14 season. The orchestra has significantly increased its recording schedule under Tilson Thomas' leadership, and founded its own label, SFS Media. Since 2001, they have recorded all of Mahler's symphonic works, including works voice and chorus. The orchestra's discography is broadly diverse, but has focused on music of the Romantic and late-Romantic eras, and on Russian and 20th and 21st century American music. It has won 15 Grammys and numerous international recording awards.